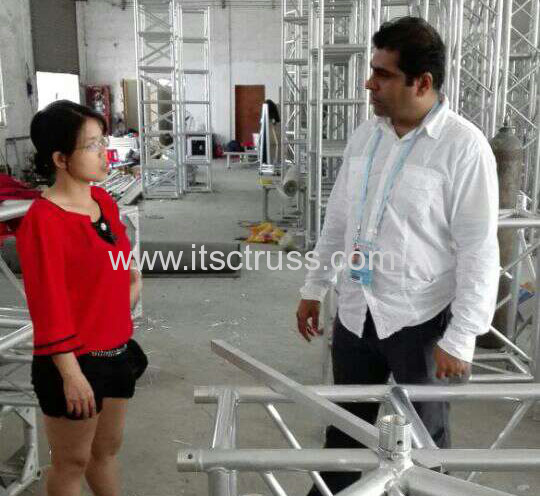 Mr. Mohammed Fayaz is welcome to visit ITSCtruss company on the Labour Day, 2015! The first day May, 1 is celebrated as the Labour day here in China, and most people are having holidays for it. 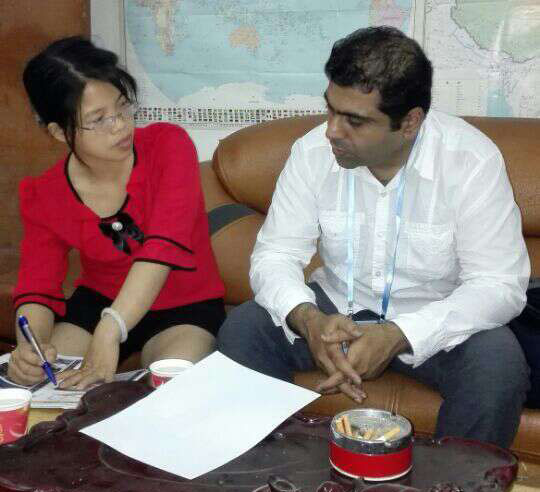 But it is so excited that Mr.Mohammed Fayaz can finally spare time to visit our company, so we pick him up from Canton Fair to our company and negotated the 10x10x7m outdoor trusses flat roof system and the stages, as well as the 6m x 4m Heavy duty goalpost system. All the trusses are including the 400x400mm pin trusses and the 520x520mm pin trusses.